We embark on a week of French lunching in Noumea, starting with Astrolabe, in the bikini clad Baie des Citrons. We eyed-off Astrolabe on our previous (second) trip to Noumea last year. Something about Astrolabe looked right, despite it's tourist-magnet, beach-tax location. Or maybe Shawn just liked the name. Astrolabe sounds like Stereolab, the best band ever. 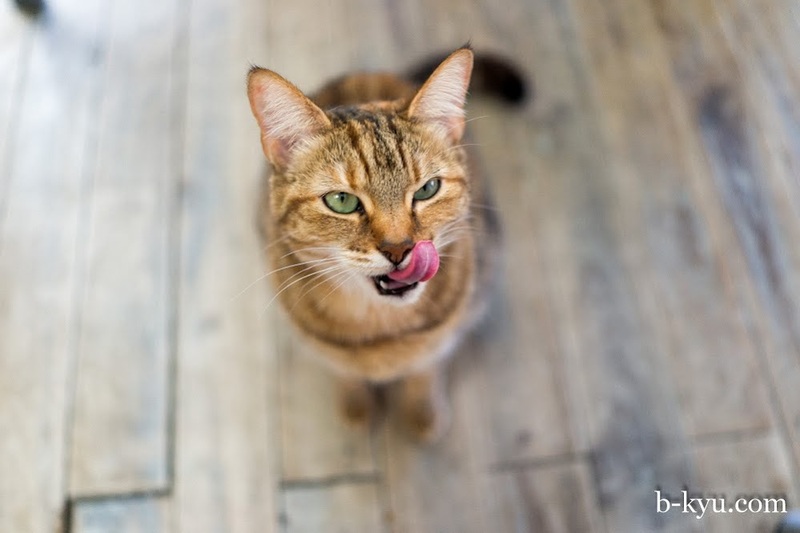 Or maybe Astrolabe's resident pussycat was the clincher. Who knows what brought us to Astrolabe, but here we are eating French food overlooking the water on a perfect sunny day, when only three hours ago we were in freezing stressville Sydney. This is a seriously happy travel moment. 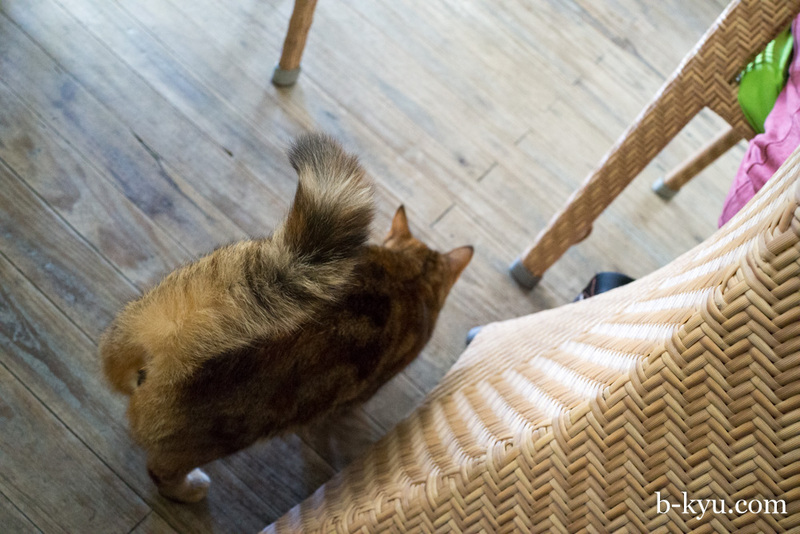 The wait staff are very friendly. And chilled. We are still in impatient workday city slicker mode. A couple of schmiddies of Manta help to wind our brains back to island town. 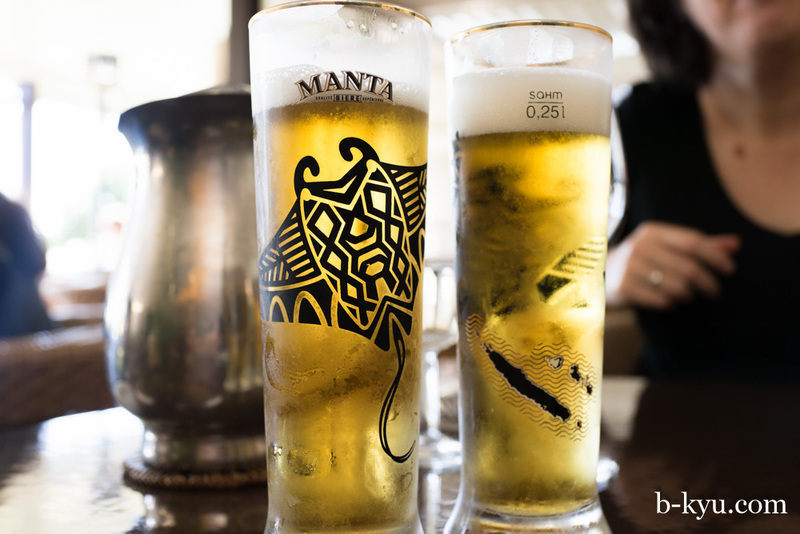 Manta on tap is a little bit sensational. It's nice to be back in France. Little things like a cheery 'bonjour!' 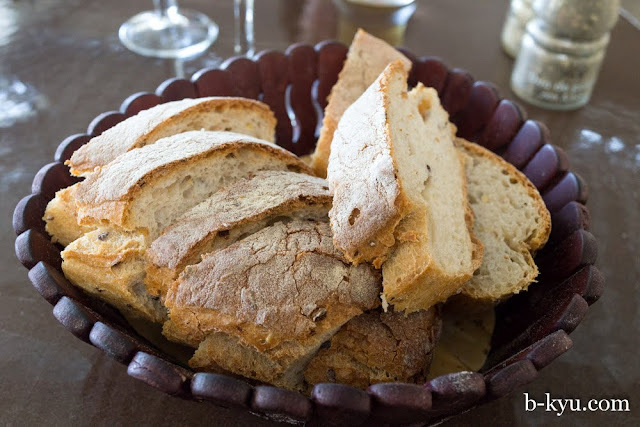 or a gratis basket of bread make us so happy. It's hard to believe that most of a year has gone by since we spent a month of eating in Paris. 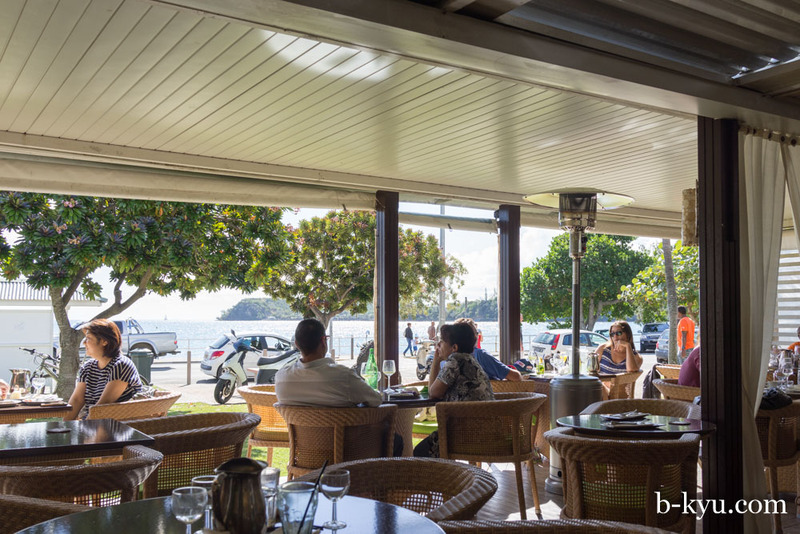 Of course Noumea isn't Paris but it is France, the very South of France, and it's just a couple of hours from Sydney. 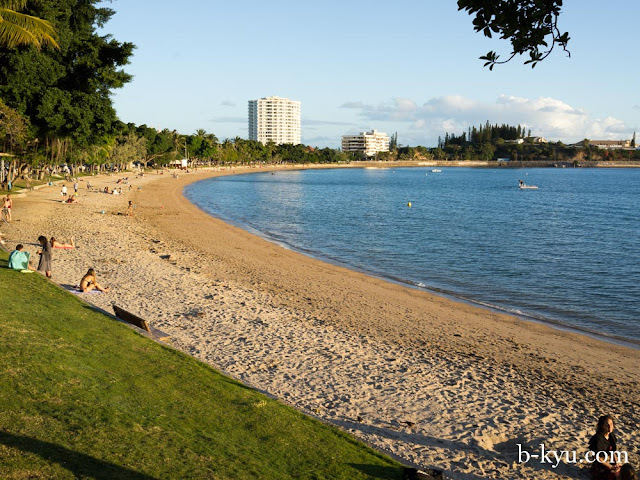 Noumea isn't everybody's idea of a great time, but if you feel like a few days of French food and taking it easy in an interesting, offbeat kind of town, Noumea is heaven. It's the equivalent of a resort holiday for us. 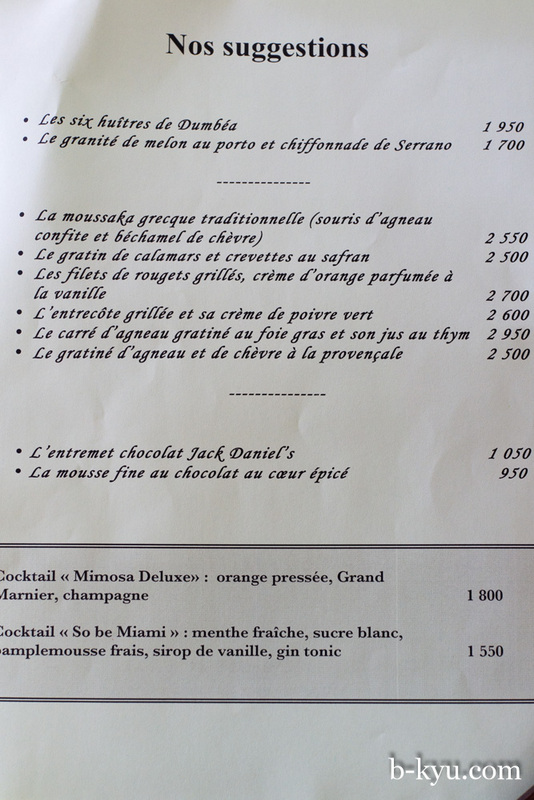 The specials menu is in French so ordering is a lucky dip. The staff are more than happy to translate but we insist on doing it the hard way, because we're idiots. Alison orders a prawn and calamari mournay, thinking it would be something else. 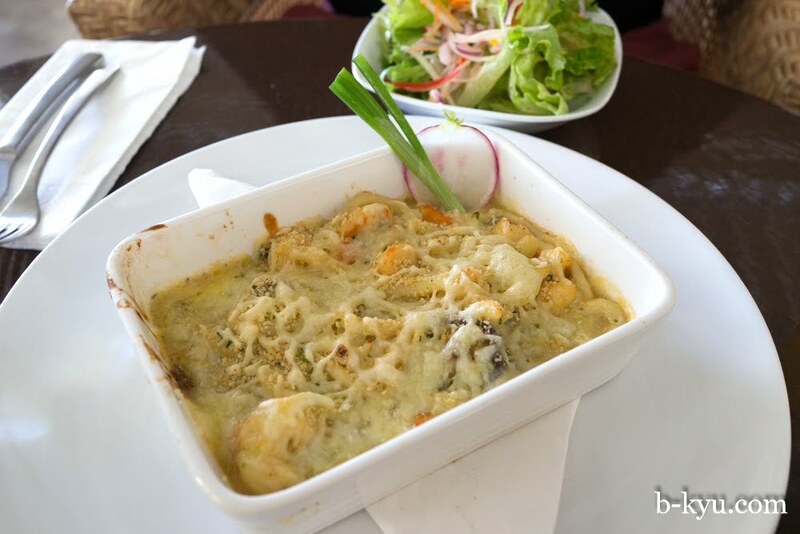 It's pretty good but seafood mournay is one of those dishes that can never ever compete with Shawn mum's version, which is loaded with painstakingly selected fresh prawns and scallops. Restaurant food can never compete with mum's cooking. Jaguar the resident pussycat is definitely a seafood mournay fan. On our trip to Paris we were surprised at how casual the dining experience is, the non Michelin star stuff anyway. 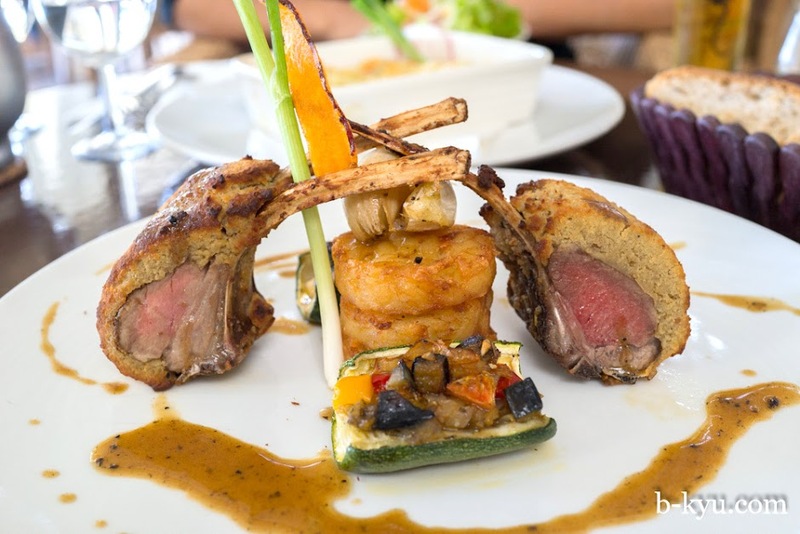 Noumea takes casual to a new level. We never felt the need to dress up beyond clean thongs, we always felt welcome (smile and the world smiles with you), and we never felt rushed in the slightest. 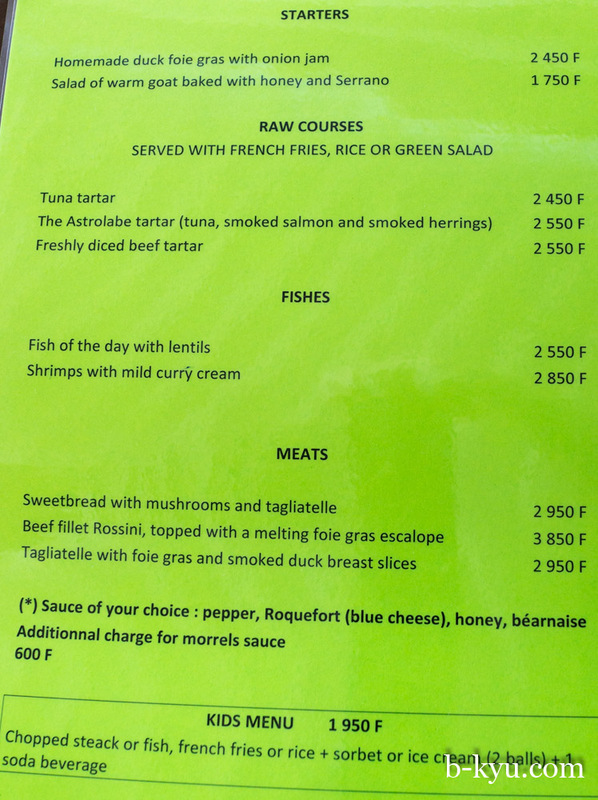 Specials menu, only in French. They have an English version of the regular menu. 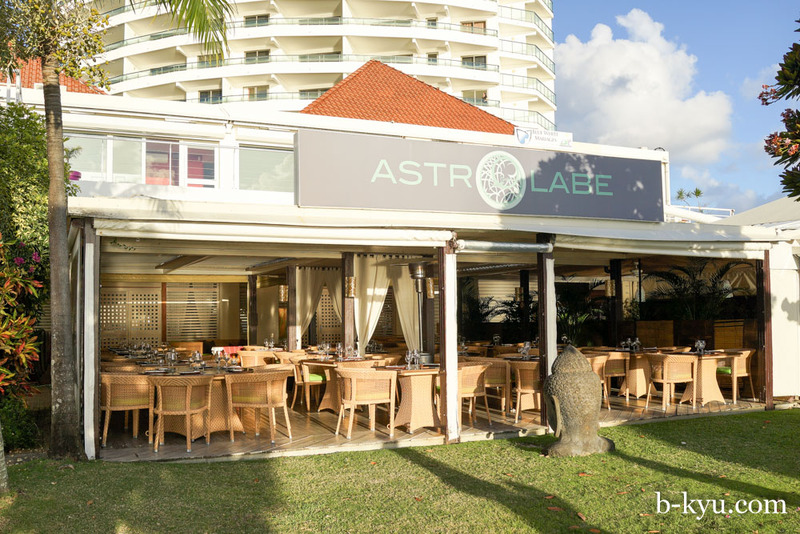 Astrolabe is on the main drag by the water at Baie des Citrons, Noumea, Grand Terre. 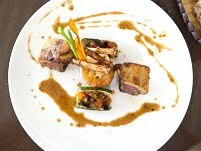 See Astrolabe on Trip Advisor and resto.nc. Our lunch worked out at about fifty Aussie dollars a head for a main and two beers each. It seemed pricey but it's about the same as Australia, and the Australian dollar was at a six year low during our visit. But hey, we're eating French food by the water. Noice! 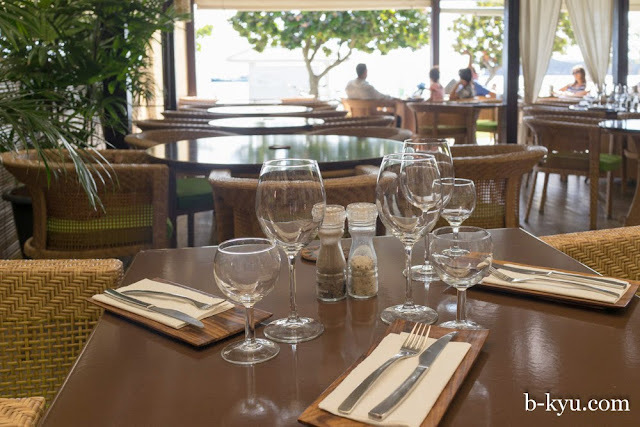 Most restaurants in Noumea are shut on Sunday and Monday, except along the beachside strips which are open for the weekend lunching locals and tourists, Baie des Citrons has the most options and is your best bet.